Dr. Ramesh Chandra Srivastava took over the charge of Vice-chancellor of this University on 22nd Jan, 2016. He was born on 1st July, 1956 at Allahabad and completed his school education in Allahabad. He obtained his graduation degree in Agricultural Engineering from Allahabad Agricultural Institute, Allahabad. He obtained Master’s and Ph.D degrees in Soil & Water Conservation Engineering during the year 1978 and 1993, respectively from Indian Institute of Technology, Kharagpur. During his service career of about 39 years in the Indian Council of Agricultural Research (ICAR), he held several prestigious positions viz. Principal Scientist and Programme Leader (2011 onward), Director, CARI, Port Blair (2006 – 2011), . Principal Scientist and Programme Leader (1998-2006), Senior Scientist (1983-1998) and Scientist (1978-1983). Dr. Srivastava has several personal awards/ honors to his credit namely – Fellow of National Academy of Agricultural Sciences (FNAAS), Rafi Ahmad Kidwai Award (2003-04), Vasant Rao Naik Award (2001 and 2006), Rajendra Prasad Puruskar (2009 and 2010), Fellow Indian Society of Agricultural Engineers (FISAE), Fellow Institution of Engineers (FIE), Fellow Indian Association of Soil & Water Conservationists (FIASWC), Commendation Medal of ISAE, ASPEE Award of ISAE, Fellow of Confederation of Horticulture Association of India (FCHAI) and 12 Best Paper Awards by various institutions. 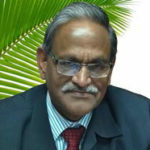 Dr. Srivastava has to his credit about 142 research papers published in Peer reviewed Research Journals, 27 invited papers in International and National Conferences, 205 papers presented in Conferences/ Symposiums/ Seminars, 16 Books published on different subjects, 43 Book Chapters, 33 Training Manuals and 14 Reports/ Reviews. In addition, Dr. Srivastava has also made significant achievements, in his career, in formulating inter-disciplinary programmes (69) and mobilization of external funding for projects (over INR 2000 lakhs). He also contributed a lot in the infrastructure development of the institutions he served – two KVKs, two outreach centres, 6 new laboratories and created many other facilities. Nine ICAR awards, 3 state awards, 5 DoAC (GoI) awards to farmers, 22 professional society recognitions, 5 Official Language Awards and many other awards received by the Institutions he served also signify his contribution in the overall development of the Institution.